This 925 Silver Heart pendant on a leather cord is simple & sweet on its own. But it is also Lovely with any other pendant, e.g. 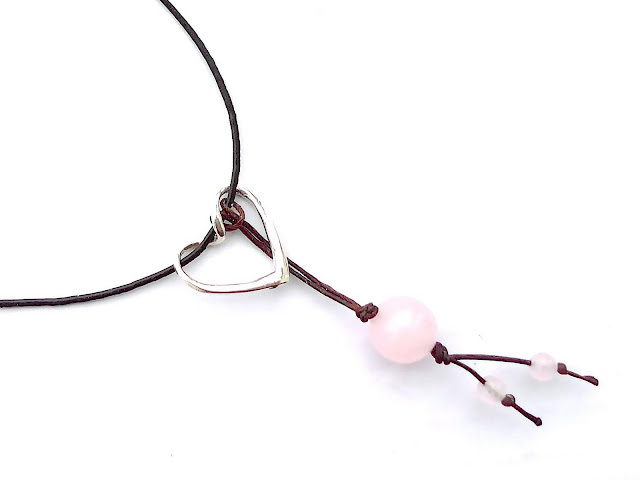 with this bead pendant with Rose Quarz, known as 'the Stone of Love', and pink Chrysoberyl. This will bring Ms. C (even more) Love & Luck !